Don't be intimidated by this fan-shaped fish. 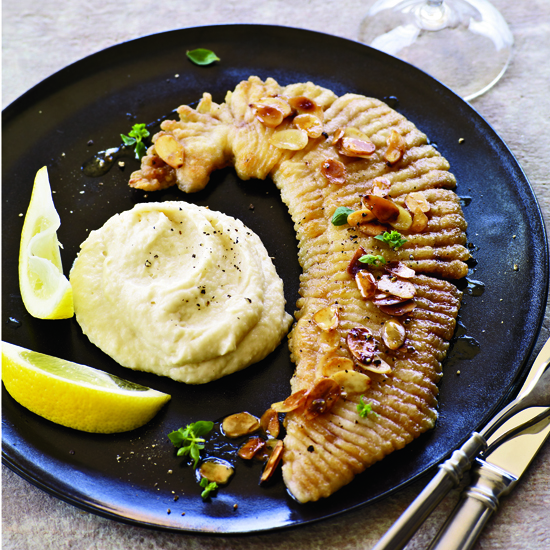 A longtime French favorite, skate is becoming increasingly popular with American cooks as they discover just how buttery, flaky and flavorful the flat fish is. Don't be daunted by the fish's odd appearance, it's easy to cook and crazy delicious. Here, five excellent ways to cook skate wing. 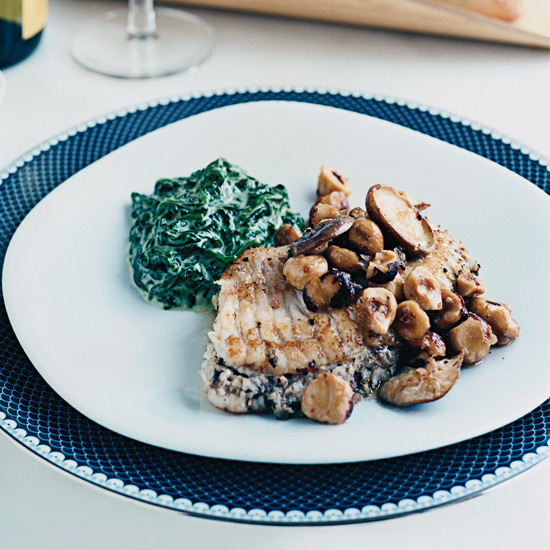 This luscious dish is deceptively simple: skate stuffed with duxelles, a mixture of mushrooms and shallots, served alongside creamed spinach. 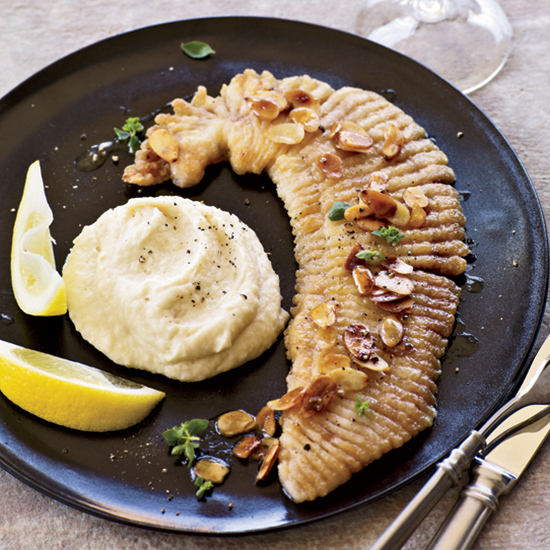 Impress guests with this classic French skate preparation. 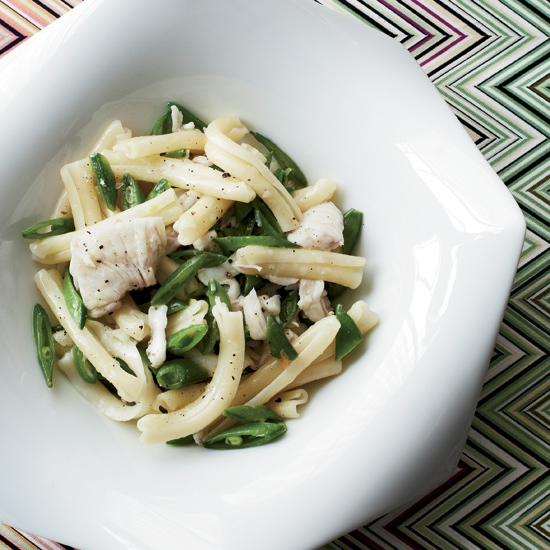 Chef Michael Toscano tosses a scroll-shaped pasta known as casarecce (fusilli is a good alternative) with skate so that some of the fish breaks down into lovely shreds. Crunchy almond slivers top this beautiful, fast fish. Amp up the heat with star chef Bobby Flay's incredible smoked chile butter-dressed version.